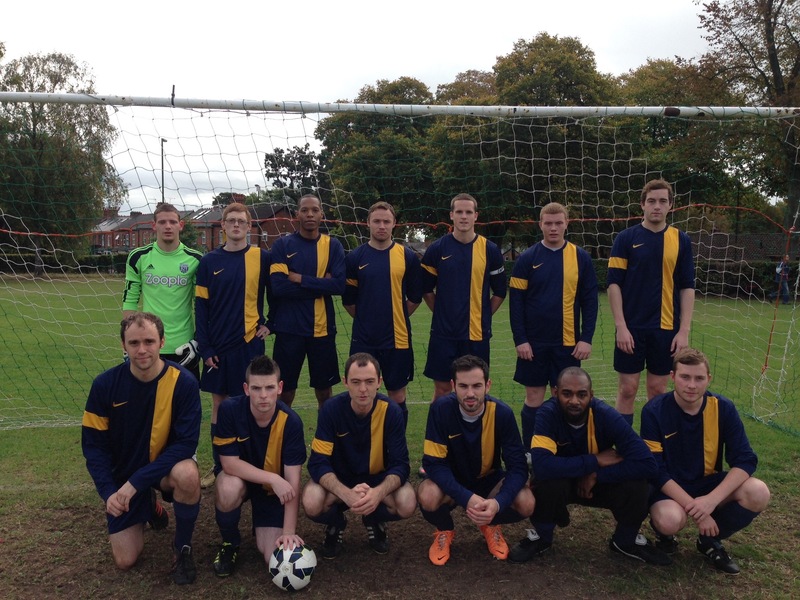 Selly Oak Elim entered WMCFL in 2005 with a young and largely inexperienced team. They aquitted themselves well winning five out of their eighteen games in their first season. They go into the 2006/7 season having changed their name to Selly Oak Methodist to relect their affiliation. 2007: Selly Oak continued to learn and grow as a football team finishing ninth out of ten in Division Two. A quantum leap forward for the Selly Oak team in 07/08. I refereed them in pre-season against a strong Chawn Hill side with players like Lee Bedford and Michael Kain playing amongst other seasoned 'men'. They lost 2-1 but gave Chawn a run for their money and looked a million miles away from the team that had finished near to the bottom of the League in 2007. Like those that had gone before such as St Matthew's and St Mary's to name but two, Selly Oak's improved performance was a combination of adding a sprinkling of fresh capable talent to a squad coming of age. I think that Selly Oak performed beyond their own and everyone else's expectations this year. They spent much of the season in the top three of Division two but were being chased by King's for the third promotion spot. King's always had the upper hand provided they could take advantage of their games in hand, which they eventually did leaving Selly Oak in fourth. As we so often see with football at any level, a good cup run interferes with League form. Selly Oak unexpectedly topped a tough Group A, beaten only by Solihull whilst handing out defeats to W&P, St Boniface, Walsall and EK. They progressed to the quarter-final and were favourites to drop out of the competition as the sole Division Two interest but it was not to be. Amblecote had conceded home advantage and were sent home with their tails between their legs on the wrong end of a 3-0 score line. Whether this was a distraction or not, Selly Oak's form then plummeted with them taking a mere two points from the next nine. This form effectively lost them their third place and any dreams they had of winning the Division Two title. June 2009 - After promising so much last season, Selly Oak stumbled into 08/09 with a few disappointing results, if not performances. Perhaps the burden of expectancy was too much? Later on, Selly Oak got things together and put a run of results on the board. But it was too late and their season ended in disappointment once again, narrowly losing out on promotion to Wolves 1-0 in their last match leaving them fourth again. Finally, Selly Oak managed to get into Division One after completing a great year in 09/10. The top of Division Two was stretched out somewhat with Selly Oak firmly entrenched in second place behind a rampant Champions Church team, cruising through the lower divisions. Selly's highlights were finishing second and being the first team to beat Champions Church in the League. 10/11 was a nightmare for the Oakies, securing just seven points all year, getting beaten week after week. They conceded 99 goals in 22 games and were promptly dumped straight back into Division Two: remarkable as they had spent so long trying to get out of the Division. 11/12 was as triumphant as 10/11 was unsuccessful. Selly Oak ran away with the title, 11 points was the winning margin. Rob O'Neill did a brilliant job keeping the team together when so often sides dissipate after a bad showing.